Drive Select: only a gimmick? You might not want the Panorama moonroof if you plan to carry tall passengers, as it cuts into headroom. The 2012 Audi Q5 is part of a burgeoning class of compact luxury crossovers, but it's one of the most stylish, fuel-efficient, and enjoyable to drive among tough competition that includes the BMW X3, Benz GLK and Lexus RX. Nice proportions, and a clean, cohesive look inside and out make the Q5 feel less like merely a downsized Q7 and instead more like a ground-up new design for those who want a vehicle that's taller and perhaps more versatile than the Audi A4 Avant (wagon). The cockpit is well-executed, with simple style and rich materials that lend a luxurious dimension. Audi does this better than anyone else in its price niche. Last year, Audi has broadened the Q5's appeal with the introduction of a new 2.0-liter TFSI four-cylinder model and new eight-speed automatic transmission, and while its 211-horsepower output is quite a bit lower than the 270-hp V-6 in the Q5 3.2 model, we almost unconditionally recommend the 2.0T. It make more torque than the six, at 258 lb-ft, so it never feels off its game with the new automatic's closely spaced gears and responsive shifting, and secondly, it's a lot more fuel-efficient, at an EPA-rated 20 mpg city, 27 mpg highway. The smaller engine isn't quite as quick to 60 mph (7.1 seconds, versus 6.7), and the down side is that it's a bit more coarse in sound, but it excels at in passing maneuvers, and out of corners. 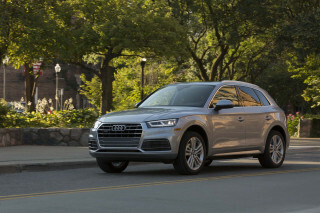 Overall, the Q5 handles like a car, with the lean, responsive feel of a lower-riding wagon, but the steering, as in the A4 sedan, has an overly damped feel. You sit relatively high in the 2012 Q5, at least compared to passenger cars, with more than enough headroom and legroom in front, and the seats themselves are firm and adjustable to a wide range of sizes. Even in back, there's a enough legroom for most adults, thanks to a rather long wheelbase. Cabin materials are about the best they come in this class, with a rich, unified feel throughout and nice detailing. Furthermore, the Q5 has excellent build quality and a tight, refined feel overall--although road noise can be an issue. The 2012 Audi Q5 remains an IIHS Top Safety Pick for 2012, and it has one of the most complete sets of safety features in this class; rear thorax airbags, which aren't broadly offered, are optional here. The Q5 can be equipped with a wide range of features, but its base price of around $35k can very rapidly be driven up by checking a few option boxes. Standard equipment includes a ten-speaker sound system, heated mirrors, leather upholstery, power front seats, tri-zone climate control, Sirius satellite radio, and an SD card slot that can manage up to 32 gigabytes of music. Premium Plus and Prestige models load on the luxuries, and a Prestige 3.2 tops $50k. In addition, Audi nickles and dimes buyers for things like Bluetooth, or an iPod interface, which are standard on most other models, even cheap ones. For 2012, rear-door sunshades have been added to the top Prestige model, and an Advanced Key system is offered on the Premium Plus. Rich materials and top-notch detailing round out an interior that's just a little more upright than those in Audi's passenger cars; otherwise, the gently sculpted exterior strikes just the right proportions. Nice proportions, and a clean, cohesive look inside and out make the Q5 feel less like merely a downsized Q7 and instead more like a ground-up new design for those who want a vehicle that's taller and perhaps more versatile than the Audi A4 Avant (wagon). From its big, rounded nose and LED-lit rear end, the Q5 walks a clean line between sport wagon and sport-utility. Its stance and height telegraph its all-around ability, but like the Volvo XC60, the take is carlike, subtle, and elegant, not upright and tough. Just as in most other models from the Audi lineup, the Q5 has a lush but functional interior. There's a rather wide center console, clearly differentiating the driver and front passenger areas, cockpit style, yet the dash itself isn't all that curvy or claustrophobic--rather, it's more upright and forward, helping maximize a sense of space. Audi frames it all in wood, leather, and metallic trim, wood. The combinations resolve well though there are lots of small buttons and controls. The 2012 Audi Q5 is strong and fuel-efficient in 2.0 TFSI form, with the neat, responsive driving manners of a lower sport wagon. Last year, Audi has broadened the Q5's appeal with the introduction of a new 2.0-liter TFSI four-cylinder model and new eight-speed automatic transmission, and while its 211-horsepower output is quite a bit lower than the 270-hp V-6 in the Q5 3.2 model, we almost unconditionally recommend the 2.0T. The turbo four makes more torque than the V-6, and works well with the automatic. It doles out responsive shifts from its closely space gears, and EPA fuel economy climbs to 27 mpg highway. Manual-shift mode is included, and the all-wheel-drive system plus 8 inches of ground clearance make the Q5 a good pick for deep snow and steep driveways. The Q5 can also tow up to 4,400 pounds. The smaller engine isn't as quick to 60 mph (7.1 seconds, versus 6.7), and the down side is that it's a bit more coarse in sound, but it excels at scooting out of corners, and in passing maneuvers. There's one disappointment in the Q5; the steering has an overly damped feel that is decently weighted but feels completely disconnected from the road surface; it's the same issue as in the A4 family, but more so. Audi offers Drive Select in the Q5. It gives electronic, adjustable control over steering feel, throttle uptake, shift patterns and more, between Auto, Sport, Comfort, and Individual modes. We think it's a bundle of imperfectly chosen setups and it doesn't dial in any more road feel. Upmarket parents will like the combination of good passenger space and a top-notch interior, all in a sensible-sized exterior. For a vehicle with a compact footprint, there's a lot of usable seating and cargo space in the 2012 Audi Q5. Factor in the rich interior appointments and refined feel, and there's a plenty of upscale family appeal here. You sit relatively high in the 2012 Q5, at least compared to passenger cars, with more than enough headroom and legroom in front, and the seats themselves are firm and adjustable to a wide range of sizes. You might not want the Panorama moonroof, though if you plan to carry tall passengers as it cuts into headroom. Even in back, there's enough legroom for most adults, thanks to a rather long wheelbase. You skip the surprise legroom crunch of the A4 Avant, although just as in any compact crossover, you won't be able to fit three adults comfortably across. There's enough cargo room for four roll-on suitcases and a clear view out the rear hatch glass. Small storage abounds, down to the 1-liter cup holders molded in all the doors, the console, and the fold-down armrest in the backseat. Cabin materials are about the best they come in this class, with a rich, unified feel throughout and nice detailing. Furthermore, the Q5 has excellent build quality and a tight, refined feel overall--although road noise can be an issue and you'll hear the four-cylinder's coarse note when accelerating. 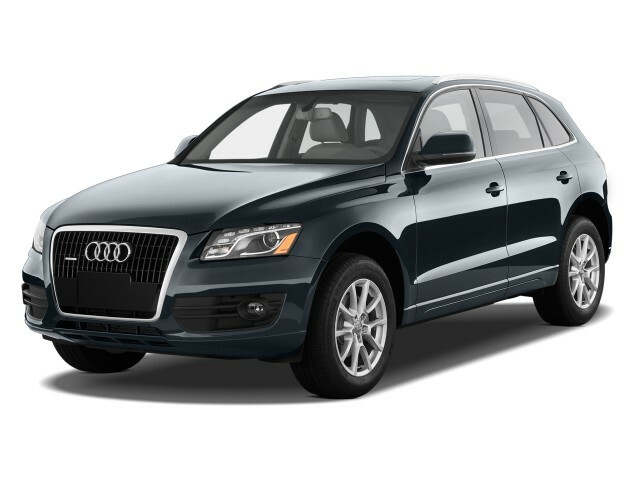 Among compact crossovers, the 2012 Audi Q5 is one of the safest. The 2012 Audi Q5 remains an IIHS Top Safety Pick for 2012, and it has one of the most complete sets of safety features in this class. Most notably, rear thorax airbags, which aren't broadly offered, are optional here. 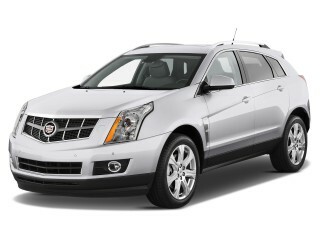 Front, side, and curtain airbags are included, as are anti-lock brakes and stability control. While the Q5 hasn't been tested in the more stringent federal NCAP program introduced last year, it's earned top scores in all respects in Insurance Institute for Highway Safety (IIHS) testing--including the new roof-strength test. We also like the visibility offered by all the window space in the Q5's design; combined with the rather large side mirrors, drivers will have good outward visibility without the need for high-tech solutions like rearview cameras and parking sensors (they're both offered though if you really want it). The 2012 Audi Q5 offers an impressive set of feature and options, but you'll have to pay for items like Bluetooth and an iPod interface--both standard on many lower-priced vehicles. The Q5 can be equipped with a wide range of features, but its base price of around $35k can very rapidly be driven up by checking a few option boxes. The all-new 2.0T model is offered in Premium or Premium Plus models, while the 3.2 model is offered in Premium Plus and top-of-the-line Prestige trims. Standard equipment on the Premium includes a ten-speaker sound system, heated mirrors, leather upholstery, power front seats, tri-zone climate control, Sirius satellite radio, and an SD card slot that can manage up to 32 gigabytes of music. Premium Plus and Prestige models load on the luxuries, and a Prestige 3.2 tops $50k. The 3.2 models include an S line exterior package and 19-inch wheels standard; and adaptive lights have been added to the 3.2 Prestige. Major options that can compound the bottom line include a Luxury Package (leather instrument panel, ventilated front seats, premium Milano leather), adaptive cruise control, and the Audi Drive Select dynamic chassis settings, a fully loaded Q5 3.2 totals more than $52k. In addition, Audi nickles and dimes buyers for things like Bluetooth, or an iPod interface, which are standard on most other models, even cheap ones. For 2012, rear-door sunshades have been added to the top Prestige model, and an Advanced Key system is offered on the Premium Plus. 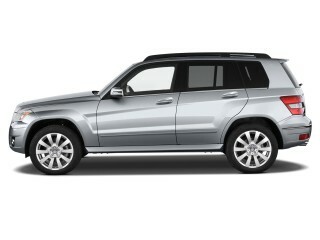 The 2012 Q5 performs well and is reasonably fuel-efficient--provided you get the 2.0T model. The 2012 Audi Q5 hits a sweet spot for performance and fuel economy in its 2.0T form, but it still doesn't weigh up against mainstream models, many of which top 30 mpg on the highway. 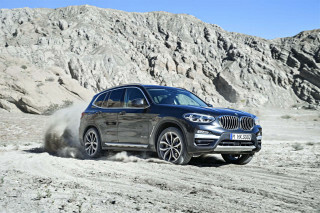 It's worth keeping in mind that all version of the Q5 do include quattro all-wheel drive, however. And we've seen solid numbers near the higher end of the combined figure (24 mpg) in a mix of spirited city and highway driving. 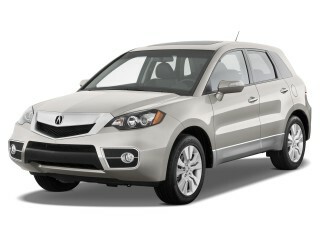 The 3.2-liter version comes with EPA fuel economy figures of just 18 mpg city, 23 highway—low for such a compact vehicle. I thought BMW's were the best cars until my wife and I purchased this Q5. We will never go back to BMW. 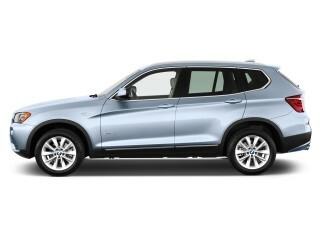 The best small Luxury SUV. 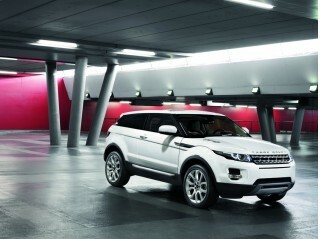 Before buying the Q5 new in December 2011, I thoroughly researched the available SUVs in this category. 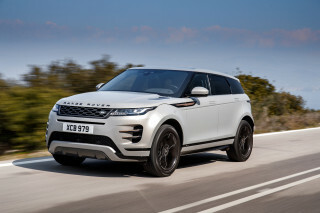 I was coming off of an awesome 2007 Porsche Cayman S that I dearly loved but needed something to traverse... Before buying the Q5 new in December 2011, I thoroughly researched the available SUVs in this category. I was coming off of an awesome 2007 Porsche Cayman S that I dearly loved but needed something to traverse snow and carry grandchildren. At this time, Audi was just starting to come into its own again and now there was a dealer as close as the Porsche dealer. I built the car online and except for the exterior color, black vs midnight blue metallic, the dealer had the exact car I wanted. I have driven it on unimproved roads and in snow and it has performed flawlessly. In 3.5 years, I have yet to experience a failure of any sort. No service other than oil changes and the 35k service has been required. The dealer picks up my car (30 miles each way) and leaves me with a Q5 to drive if needed at no additional charge. Everything on the car works as intended. The only issue for me are "picky" thing like the having to select "presets" in the satellite radio selection each time the car is started. In the 37000 miles thus far I generally average 23-4 mpg in the city and 28+mpg on the highway and I'm an aggressive driver... never left at a traffic light! I would like a little more power as it is a little weak in the 75-100 mph range when passing. I've owned 37 different cars in my life including 7 Mercedes and 3 BMWs in recent years and this vehicle is as advertised and more than meets my expectations. I would recommend it over any competitors such as Acura, Lexus, Ford and the link even as it stands to be replaced in coming months. There is reason beyond the obvious that Porsche chose it as the basis for the Macan. The platform is that good.